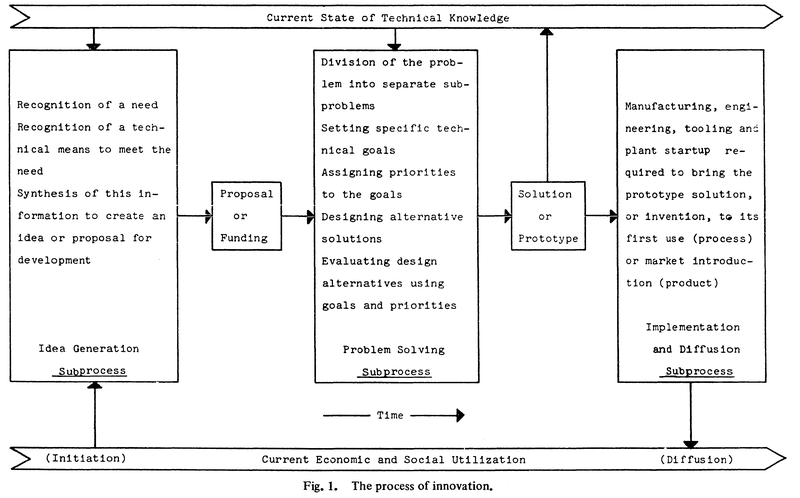 Utterback, James M. (1994) Mastering The Dynamics of Innovation, Boston, Massachusetts: Harvard University Business School Press. 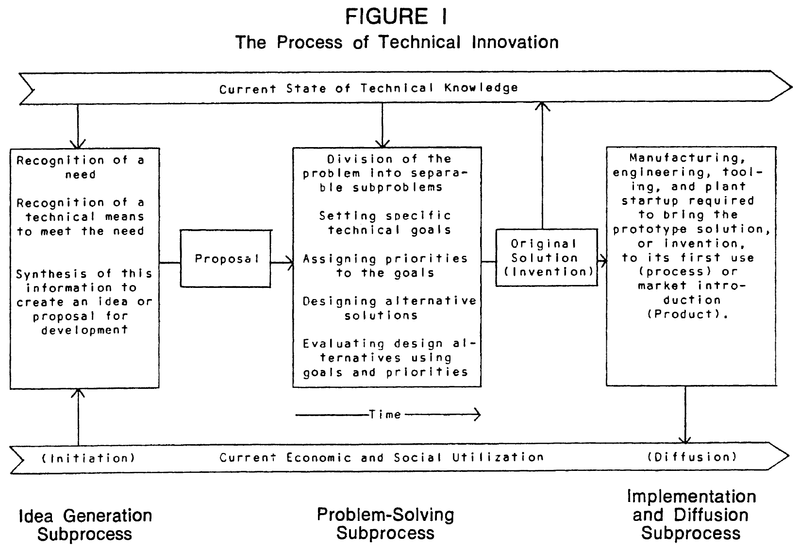 Utterback, James M.(1971b) “The Process of Innovation: A Study of the Origination and Development of Ideas for New Scientific Instruments,” IEEE Transactions on Engineering Management, Vol. EM-18, No. 4, November 1971, pp. 124-131. なお本論文では、Baker et al(1967)の論文における「「needに関する知識」が先行し「needを充足する手段に関する知識」が後に続く形で生み出されたアイデアが75%、「手段に関する知識」が先行し「needに関する知識」が後に続く形で生み出されたアイデアが25%であるという調査データを紹介している。（Baker et al reported that 75 percent (212) of the ideas studied were stimulated by knowledge of a need, termed a “need event,” followed by knowledge of a means, called a “means event” for meeting the need. Twenty-five percent (60) ideas were stimulated by knowledge of a means followed by knowledge of a need met by the means .